In 1993 Samaritan's Purse collected 28,000 shoeboxes filled with Christmas gifts for the children in war torn Bosnia. Out of the request for these boxes, Operation Christmas Child was born. Each year here in the US, the week before Thanksgiving, OCC collects millions of shoeboxes packed with toys, school supplies, hygiene and other items to be delivered over the next months to kids in crisis around the world. OCC has grown to have collections not only in the U.S., but also in Canada, the U.K., Australia, Germany, Switzerland, Austria, Finland, Spain, New Zealand and Japan. Operation Christmas Child has delivered over 146 million shoeboxes since the first collection in 1993 to 160 different countries. Their goal for 2017 is 9.5 million in the US and a total of 12 million worldwide. Each box is packed by an individual, a family or a group at a packing party. An example of a shoebox packed for a 10 to 14 year old boy. Shoeboxes are divided into the following groups: 2 to 4 year old boy, 2 to 4 year old girl, 5 to 9 year old boy, 5 to 9 year old girl, 10 to 14 year old boy, and 10 to 14 year old girl (click on each age for examples of boxes we've packed). Packing your own shoebox is simple, you simply choose one of the groups above, take an average sized shoebox and fill it up with gifts a child of that age can use and enjoy (see list below for ideas). WOW Item -- something extra special (like a stuffed animal or deflated soccer ball w/pump). 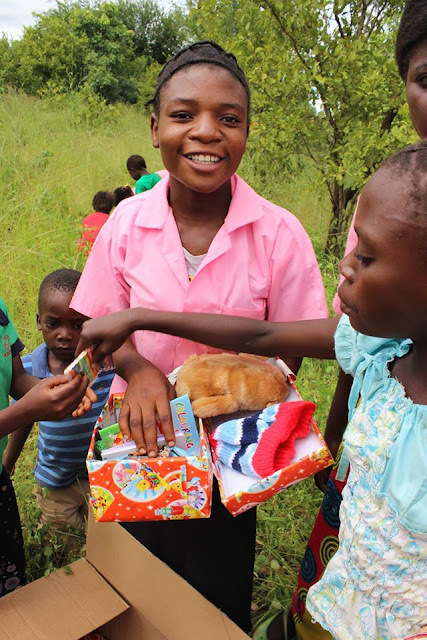 From the OCC Facebook page: "WOW items add that something extra special to each shoebox you pack!" It's basically to prevent a box full of trinkets. Letter to the child and a picture of yourself (this is often the child's favorite item). Anything a child would like! Do not include: candy, toothpaste, liquids, breakables, war related items. You can see a more detailed list in our page: What to Pack. You can find more information on the Operation Christmas Child shoebox website. Then find a local drop off location thru the OCC link above–there are over 5000 in the US open during national collection week--and drop off your box. 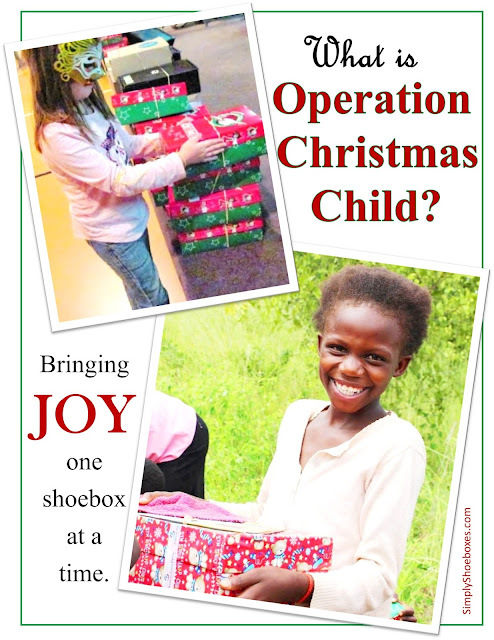 Please note that OCC requests a $9 donation to cover delivery costs of getting the shoebox to the child (details here at the OCC site: Why $9?). If you would like to send a box to a child in crisis but don't want to pack a shoebox yourself, for $25 you can pack a shoebox online at Operation Christmas Child Build A Box Online website. You can even buy a gift certificate to give to others to build their own box online. Many shoeboxes arrive with very little in them or with items on the do not pack list that need to be removed. When this happens OCC adds extra items to fill in the gaps. You can donate fillers to be used for this. Read more about donating fillers here: Five Ways to Donate Handcrafted Items to OCC (this post is written with crafters in mind but the information is accurate for donations of any kind of fillers). 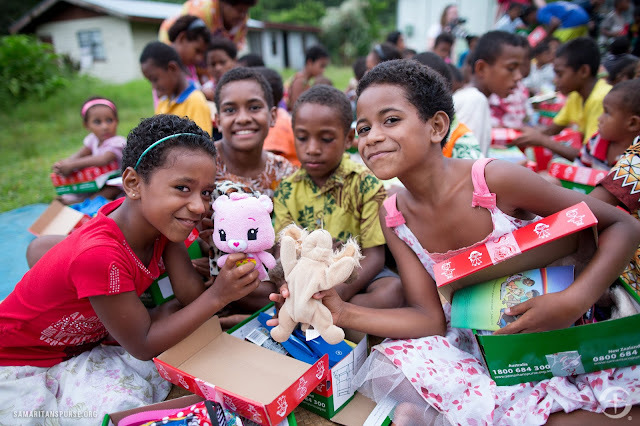 Operation Christmas Child depends on thousands of volunteers to accomplish their goal each year. Find out more about volunteering during the processing season and all year round. Shoebox delivery in Madagascar. Image courtesy of Samaritan's Purse. Once a shoebox is dropped off at an Operation Christmas Child collection site it goes to one of the many Processing Centers across the country. Due to customs regulations, each box is inspected to be sure there are no items included which are on the Do Not Pack List. 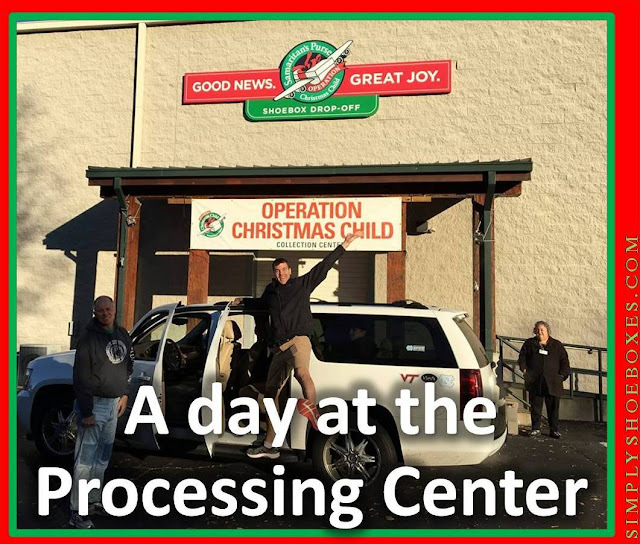 If you are interested in what exactly goes on at the processing center check out this guest post: A Day at the Operation Christmas Child Processing Center. Image courtesy of The Carpenters Mission, Zambia. From the processing site shoeboxes are shipped to countries around the world. Local churches and organizations are trained on distribution and host a gathering for the children to receive the boxes. We have some guest posts of first hand accounts if you would like to see more: Operation Christmas Child Shoebox Distribution Stories. If you like to join online communities there are several on Facebook for shoebox packers. 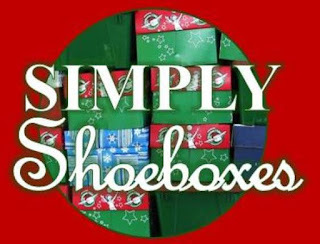 Simply Shoeboxes -- our page. Shoebox Shoppers -- Stefanie, a year round volunteer, runs this page of deals and other shoebox information. Clip With Purpose -- Mary shares deals and crafts for shoeboxe packing and other charities. Crafting for Shoeboxes -- all about crafts to be made or included in shoeboxes. Operation Christmas Child -- the official OCC Facebook page. Here are a few of the posts or series of posts we have shared that will help you get started packing. If you have any questions we are happy to answer them. You can find our contact information here. 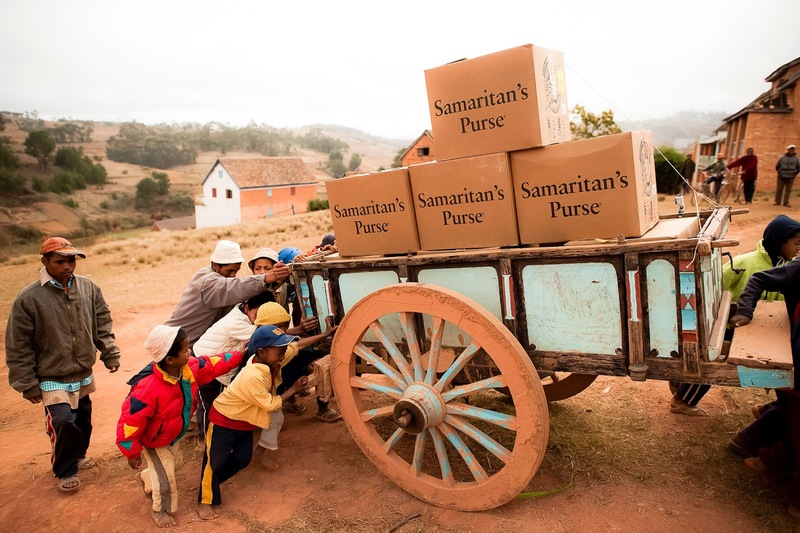 Image courtesy of Samaritan's Purse. This post was written with information about collections in the US. Some countries rules and regulations are different. You will need to check with the Operation Christmas Child shoebox collection details in your own country if you are outside the US. Keep up with all the Operation Christmas Child shoebox packing information we share thru Email or follow us on Facebook. You can also find us on Pinterest and YouTube.